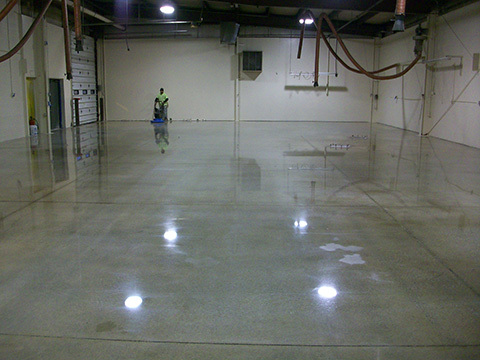 Concrete polishing is a decorative concrete service which takes either freshly-placed concrete or existing concrete floors through a sequence of steps to create a floor that is tough, durable, and relatively maintenance-free. Mostly found in commercial establishments, polished concrete can also be used in residences to finish basement floors, garage floors, or interior slabs on grade. Polished concrete can also be used with the engraving and staining process to create unique decorative floors which are one of a kind. To view more pictures of our completed polished concrete projects, see our Photo Gallery. Ameripolish Surelock Dye – Polished Concrete Colorant: This is a color chart for polished concrete floors.